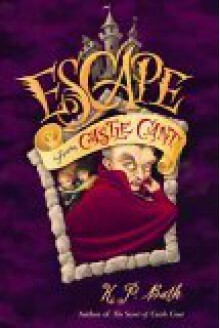 The baron's headstrong daughter Pauline's rescue from Castle Cant by her heroic half-sister Lucy was just the beginning of the madcap adventure launched in The Secret of Castle Cant, K.P. Bath's acclaimed debut novel. Now hungry and homeless, they are left to fend for themselves in the war-torn Barony, which is full of danger and bounty hunters. Can the girls escape to the Outlands to fight the corrupt gum trade that claimed their father's life?